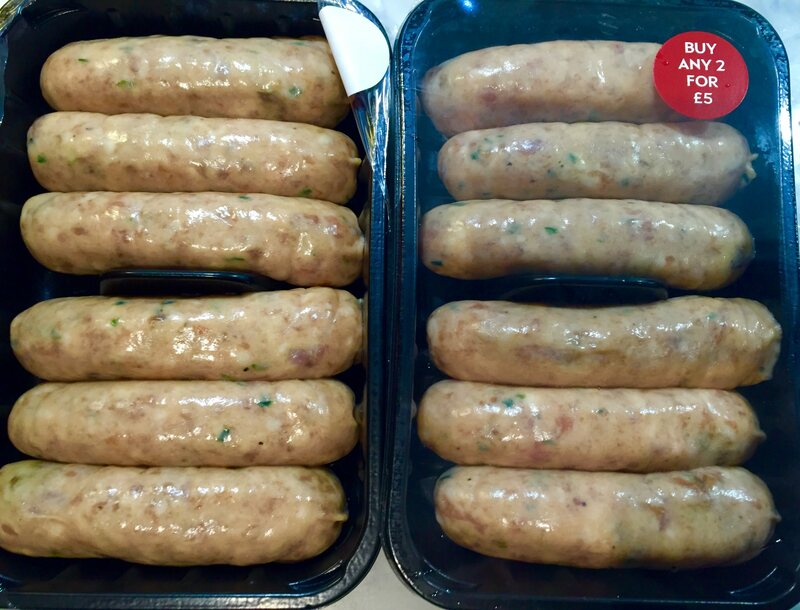 Choose your sausages wisely, Dear Reader. Skin your sausages by lightly slicing lengthwise, so that only the skin is pierced. Then using your thumbs, flip the sausage casing out and empty the sausage contents into a large mixing bowl. A tip you can have for free, Dear Reader, is to make the slice on all sausages before attempting to empty out the cases, this will save you getting the sausage contents everywhere. ‘Tiffany, why are you using sausages instead of sausagemeat?’ I hear you ask. Well, Dear Reader, it’s because commonly sausagemeat is about 40% or higher of bulking agents, such as rusk. Now, while in this recipe we add a bulking agent (breadcrumbs) to soak up the moisture of the sausages and ensure they don’t become soggy and vile, we can control how much we add and what’s inside it. Happy? Crunchy golden glory, shove it in your face Dear Reader! Add your breadcrumbs, mustard and herbs to the sausages and mix thoroughly. Set aside. Get your pastry out of the fridge and roll out, then roll out slightly more with a rolling pin. I would never bother to make my own puff pastry unless I had a weekend spare and had momentarily lost my mind. 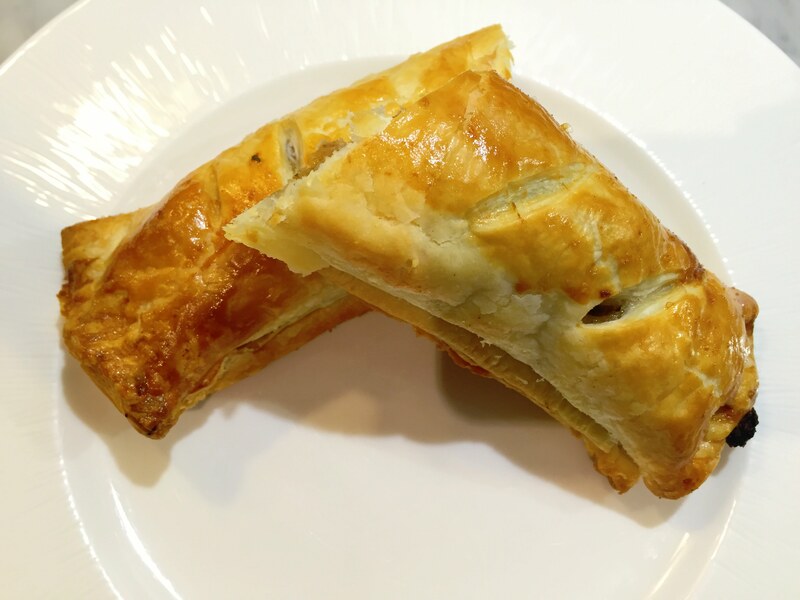 Take two fistfuls of the sausage mixture and place it in a line along the long edge of the pastry, leaving half a centimeter on the long edge. Then take that edge and roll over until it meets the pastry on the opposite side of the sausage mixture. Run a knife down the side of the pork sausage roll, then score lightly across the top. Using a fork, press the ends down and the side where the pastry meets on the long side. Get a pastry brush and brush your egg mixture liberally on the top and sides of the pork sausage roll. Repeat until you have made all your pork sausage rolls (this recipe should make four long ones). Everyone will love you when you present this platter, Dear Reader. Bake in a pre-heated oven on 180 degrees for 30 minutes or until golden brown and puffed up. 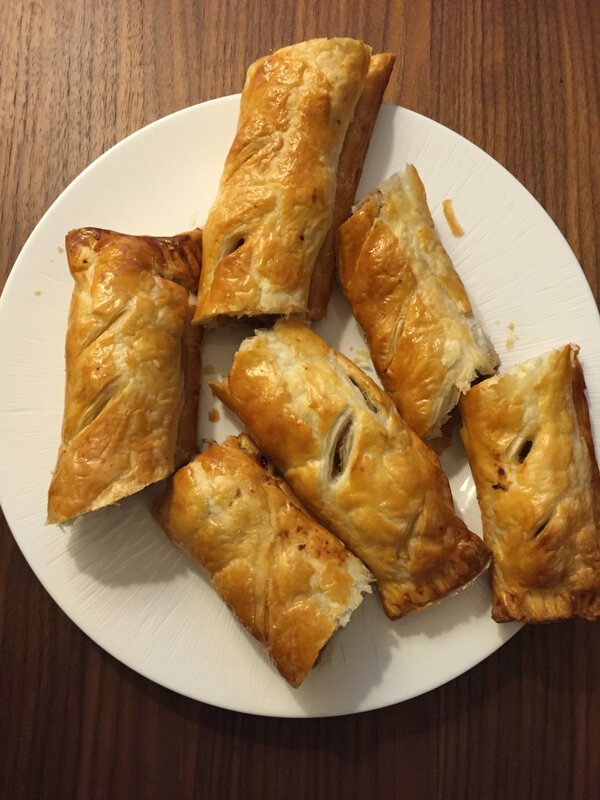 Enjoy these delightful pork sausage rolls on a cold night with the most British of side-dishes, steaming hot baked beans! BOSH!